Do Drug Abusers Target Your Business? With all the news surrounding the opiate crisis in the U.S., it won’t come as any surprise that opiates topped the list as the drug that employees used the most while at work. 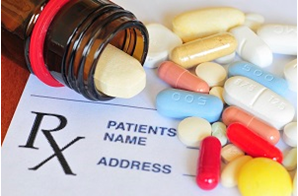 While sometimes legal, these drugs are considered highly addictive and potentially lethal – with or without a valid prescription – and can be detrimental to workers safety. In an article published in The Business Journals on January 18th, 2018, seven in 10 illicit drug users have used drugs while at work, including opiates, amphetamines and cocaine, according to a survey from treatment website Detox. 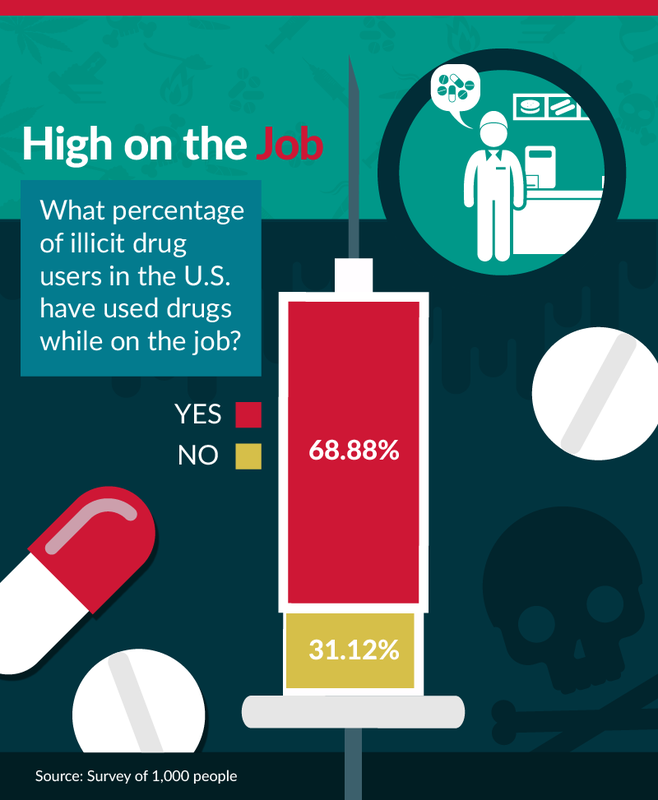 Opiates are the most commonly used drug, as 17.83 percent said they had consumed them while at work. Benzodiazepines such as Xanax and Valium came in second at 17.05 percent, and amphetamines and cocaine tied for third at 8.53 percent. The Department of Labor states that the impact of employee substance abuse is a problem that extends beyond the employee using the drugs. Co-worker job performance and attitudes are negatively affected. This is a result of workers reporting that they have been put in danger, have been injured, had to work harder or redo work, or cover for a co-worker. Small businesses, with inconsistent or non-existent substance abuse policies, are often the employer-of-choice for illicit drug users. Individuals who can’t adhere to a drug-free workplace policy seek employment at firms that don’t have one. With about half of the U.S. workforce working for small and medium sized businesses with less than 500 employees, this leads to a substantial number of unsafe and unhealthy work places. Just one mistake or accident caused by a worker under the influence of drugs or alcohol can devastate a small business financially. That is why it is so critical that every workplace should be doing pre-employment and follow up random drug testing. Currently 56% of U.S. employers require workers to take pre-employment drug tests, according to Statistic Bain. This leaves a lot of businesses vulnerable to the mistakes, accidents and injuries caused by drug impaired employees. The annual cost of untreated substance use disorder ranges from $2,600 per employee in agriculture to more than $13,000 per employee in information and communications. NSC offers a Free Employer Kit that provides information on how to take a more proactive role in addressing opioids in the workplace. For more information go to Free Employer Kit. Blackbird Clinical Services is a certified drug testing service that can help any employer set up a pre-employment and random drug testing program. Our experience and knowledge regarding these tests ensures that those abusing drugs are not able to prevent detection by using different avoidance techniques. For more on our drug testing capabilities, please go to Drug Screening. Just give us a call at 765-447-8700 and we’ll be happy to arrange a time we can talk about setting up a program to make your workplace safer and more productive. With so much attention being paid to the impact of illegal drugs such as opioids, heroin and prescription pills, we can lose site that the most common drug of abuse in America, although legal, is alcohol. The impact of alcohol in the workplace for both employers and other employees, like all drug abuse, can have a significant impact on workplace safety, productivity, absenteeism and medical costs. 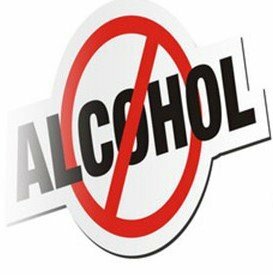 Alcohol is a depressant drug that slows the messages to and from the brain and body. 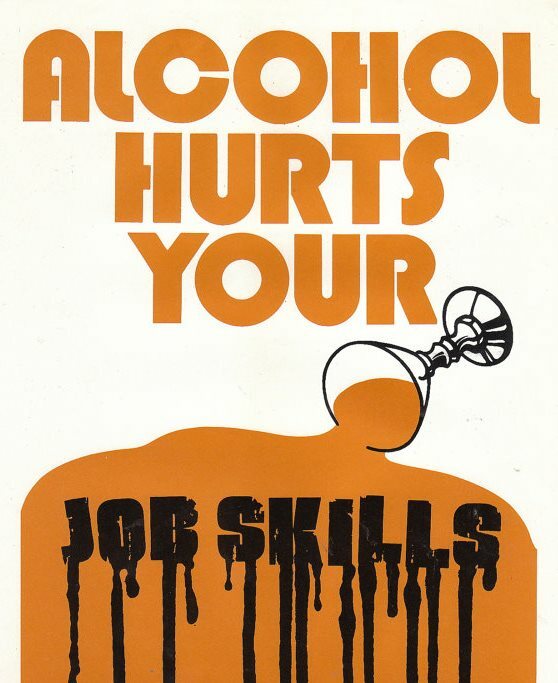 Alcohol can affect problem solving skills, judgment, concentration, reaction times and coordination. All of these can have negative consequences on ‘fitness for work’ as well as individual health and well-being. Preventing accidents that result in injury and or death particularly in occupations involving operating heavy machinery or driving vehicles. Workplace relationships with co-workers and customers. The effects of alcohol can impact behavior including acting unprofessionally towards clients, customers and other employees; co-workers may be resentful for covering for others affected by alcohol or the ‘hangover’ effects of alcohol. Lower workplace productivity due to short-term absenteeism and a lower quality and quantity of work due to poor decision making and disruption to operations. Also the lost productivity of co-workers covering for alcohol-affected employees. Workplace related costs incurred due to long-term alcohol-related job performance include loss of productivity, damaged equipment, employer insurance liabilities, and the related costs of replacement and training new employees. Monitoring work-related alcohol use and its effects on safety, health, and behavior in the workplace is everyone’s responsibility. All employers and employees have safety and health responsibilities and obligations in relation to the workplace. Employers have a legal obligation to respond to alcohol use and related-harm in the workplace through ‘duty of care’ provisions under the Occupational Safety and Health Act. Employees have an obligation to take reasonable care of their own safety and health and not endanger the safety and health of others at the workplace. If you haven’t already, every employer should have in place a Drug and Alcohol policy that is tailored to your business. It should spell out why the company established the policy; what precisely is expected of employees; and the consequences for policy violations. Any drug testing program must be fair, accurate, and legally defensible. When testing someone who is suspected of being under the influence of alcohol at work, it is important to have that individual tested immediately. There are different types of tests available for alcohol detection that can be administered at the workplace, on the job site, or at a clinic. It is recommended that these tests be performed by a certified professional. This ensures all procedures are followed and the risk of being challenged on the result is minimized. Have Questions on Addressing Alcohol in the Workplace? Feel free to contact Blackbird Clinical Services by either EMAIL or phone at at 765-447-8700. We are always happy to answer your questions.